Ahhhhhhhhhhh. I've been using these products since I went to Florida over 2 months ago, and I thought it was time having posted about them in the past to write a really honest review as I've been using them 2-3 times daily. I love these 3 products so much I ended up buying them for my Mom and Sister for Christmas this year. I love this little genius product. 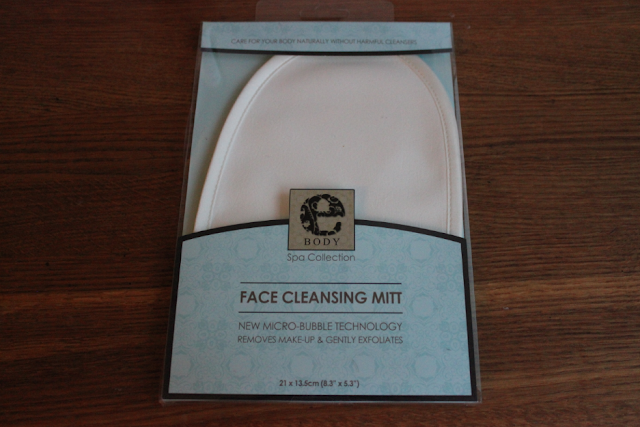 The E-Body Cleansing Mitt is such a clever design that works well at removing all make up, and dead skin cells delicately. It completely cleanses the skin within minutes. It's designed to work so that you only need water to use it, which for me , is a huge positive as I am not that much of a fan of a: using lots of things on my skin b: purchasing lots of different things to do one job and c: traveling with lots of cosmetics etc. You just put the mitt on your hand, wet it, and move it around in circles gently on your face to remove your make up. It feels like really soft suede ( but isn't made of animal material ) which has been edged in a soft silk, it feels super luxurious. After a few rounds of my face I like to rinse it well under the tap and then give my face a gentle yet good buff with the E body cloth as working in a comsetology environment I know how important it is to look after your skin, and one of the main things is to take away the dead skin cells to lighten and brighten your skin. 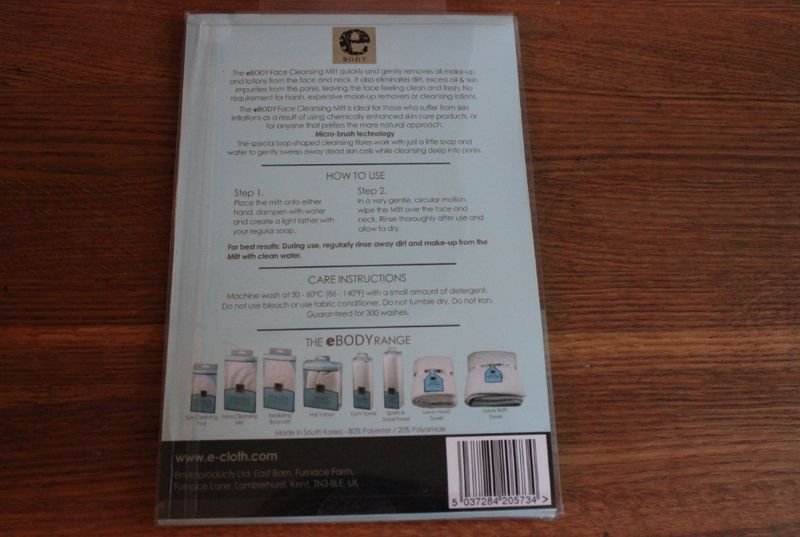 The E Body Cleansing Mitt is £9.50 which I think is good considering it works so well and when you compare it to a bottle of cleanser from a natural company it's far cheaper! Well, I'm adding to the hype over the Fushi Rosehip oil.... I love it. I have really dry skin, and it has made my skin lovely and smooth this winter. I believe it's good if you have combination, dry, oily or normal skin though. although it leaves your skin oily after applying it at night, when you cleanse your face the oil is removed in the morning anyway. I like going to work with my face slightly oily anyway, so I add some before I leave the house anyway since it's so cold outside lately and my skin chaps so fast. I know I will keep repurchasing this over and over and over. You can get it from Tesco, Waitrose, and loads of places online. It's normally £13.50 but on Fushi I've just spotted it has 10% off at the moment too. Finally, I was Christmas shopping last month and decided to buy some lip balms for friends and family, as I am a lipbalm addict, and I feel it's a good addiction to have, so I thought I'd spread the lipbalm love. Well, I originall bought this for my friend Samantha, but when I got home I couldn't resist opening it , telling myself I would go back and buy another for the gift basket I was making. I'm so glad I did open it, it's a great buy! The Fushi Hydrating Lipbalm does what it says on the tin - (the lipbalm has a slight mint scent to it, which makes your lips tingle as it hydrates ) I use it at night with the Rosehip Oil to give my skin a good hydrate as I mentioned it's super dry. It cost me £5.50 from my local supermarket which is alittle more than a regular good vegan lipbalm but I think it's worth it in winter to shop your lips chapping, and splitting like mine used to.